The administration of President Donald Trump spent much of 2018 converting the threats made in 2017 into firm policy, as outlined in Panjiva research of Dec. 20. Looking into 2019 there are two major areas with President Trump may find his trade policy ambitions restrained and three where success beckons but will prove far from easy to deliver. The completion of the U.S.-Mexico-Canada Agreement (nee NAFTA) on Nov. 30 was arguably the signature accomplishment in trade policy for the Trump administration. It has yet to pass Congress however and may face challenges from the new-installed Democratic Party majority even though – under TPA rules – it only has a yes-or-no vote on the deal. A looming threat for the entry-into-force of USMCA may actually come from north of the border with Canadian elections scheduled for Oct. 21 – though electioneering will start earlier. It took the Canadian government 11 months from signing of the CPTPP (in Nov. 2017) to reach Senate ratification and seven months from the signing of the CETA deal (in Oct. 2016) with Europe to be approved by Parliament. A further complication may come from ongoing disagreements between Canada / Mexico with the U.S. regarding steel and aluminum duties where America’s section 232 duties are still outstanding. 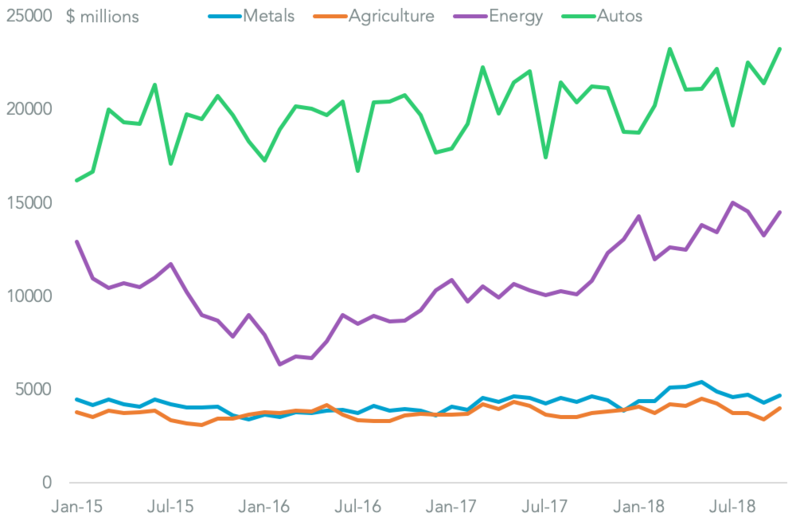 Trade in steel and aluminum accounted for 4.6% of U.S. bilateral trade with Mexico and Canada – or $47.6 billion in the 12 months to Oct. 31 – Panjiva data shows. Potential controversies regarding autos (20.9% for both vehicles and parts) appear to have been completed though Mexican plans to reduce its energy dependence (13.1%) may prove a challenge. The U.S. Commerce Department is scheduled to publish its section 232, national security-oriented, review of the automotive industry by Feb. 17. President Trump will then have up to 90 days to act on its recommendations – Commerce Secretary Wilbur Ross has already indicated that the administration has “a lot of flexibility” to act. There are already three major challenges that may face the section 232 process more broadly. Using that mechanism is important for the administration as it allows it to bypass WTO references. One is that the Court of International Trade is in the process of reviewing the legitimacy of the application of the section 232 review of the steel and aluminum industry. The Government Accountability Office is also in the process of reviewing the use of the section 232 mechanism in relation to the autos industry with review due in March. Third is that Congress is likely to step up its oversight of the administration’s trade policy. Sen. Chuck Grassley (R-IA) has already stated he intends to introduce a review of the use of section 232 while the incoming House Democratic Majority may also choose to intensify its oversight of administration trade actions. The uncertainty over the outcome of the review as well as the process’s legitimacy is compounded by questions about the coverage of the review. The USMCA deal means shipments of parts and vehicles from Canada and Mexico are excluded. Additionally shipments from Japan and Europe won’t be hit in the near-term due to the ongoing trade negotiations being pursued by the U.S. with both (outlined below). 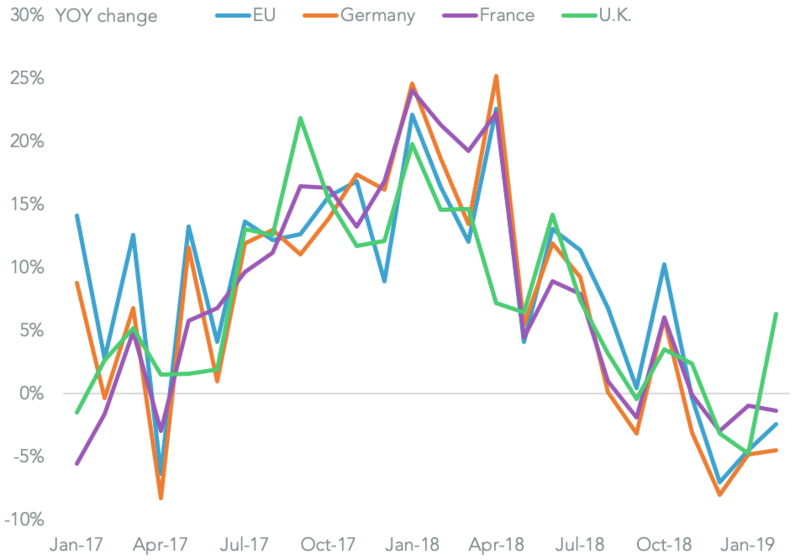 The latter may explain in part why Daimler’s U.S. seaborne imports of parts rose by just 3.0% on a year earlier in the fourth quarter (through Dec. 27) while Volkswagen’s fell 9.4%. 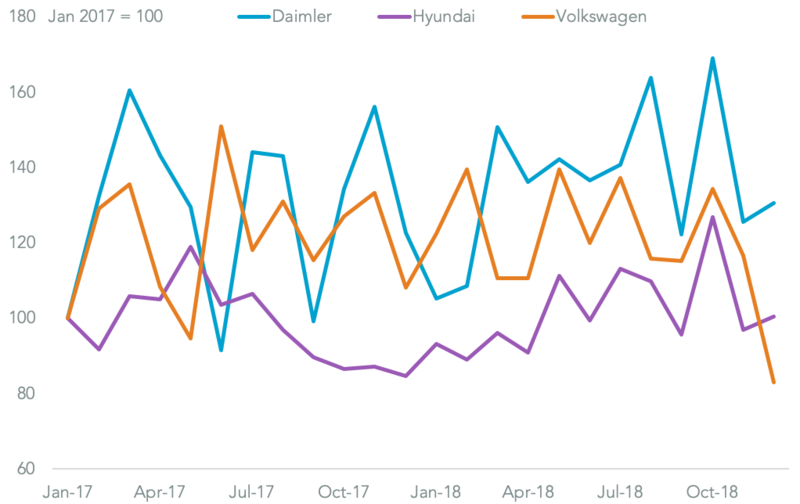 Hyundai meanwhile saw a 25.5% expansion – it isn’t clear whether South Korea will be exempt despite the recent enactment of the revised KORUS trade deal. The more advanced of the administration’s big new trade deals will be with Japan where the U.S. Trade Representative has recently published its negotiating position. An overview from the U.S. ITC on Jan. 24 may provide more figures around potential benefits from such a deal. The number one objective for USTR lies in cutting the U.S. trade deficit with Japan, which totaled $67.5 billion in the 12 months to Oct. 31. Panjiva analysis suggests potential tariff cuts of $4.16 billion on a bilateral basis are available from such a deal, based on WTO duty rates and trade in the 12 months to July 31. 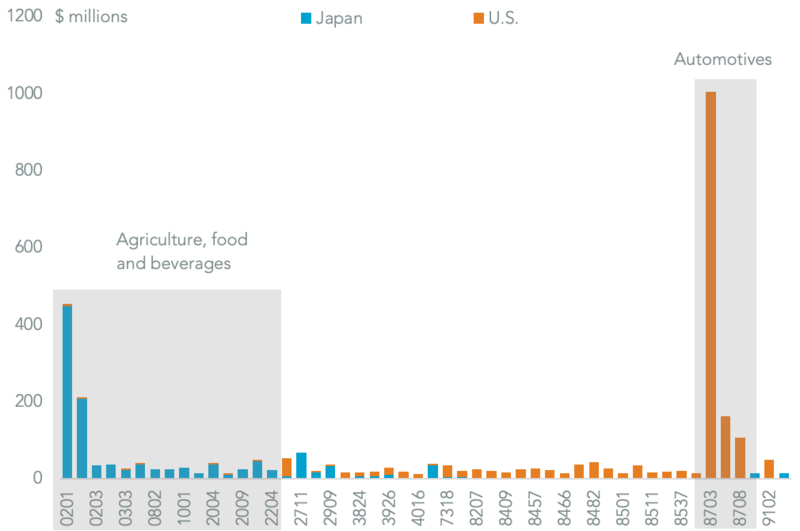 On the Japanese import side that’s predominantly focused on agriculture while for U.S. import tariffs the largest potential area of reductions are in the automotive sector. Yet, the deal will likely need to cover a much wider array of topics including non-tariff barriers, service industries and regulations. The complexity of reaching such a deal can be seen in the EU-Japan trade deal negotiations to form EPA – negotiations started in March 2013 and were only completed with a finalized text in November 2017. Conceptually the same issue applies to negotiations with the European Union which is proceeding at a modestly slower rate – in part due to the complications associated with Brexit. The prize is correspondingly bigger, however, with the potential to cut up to $12.4 billion of bilateral duties. 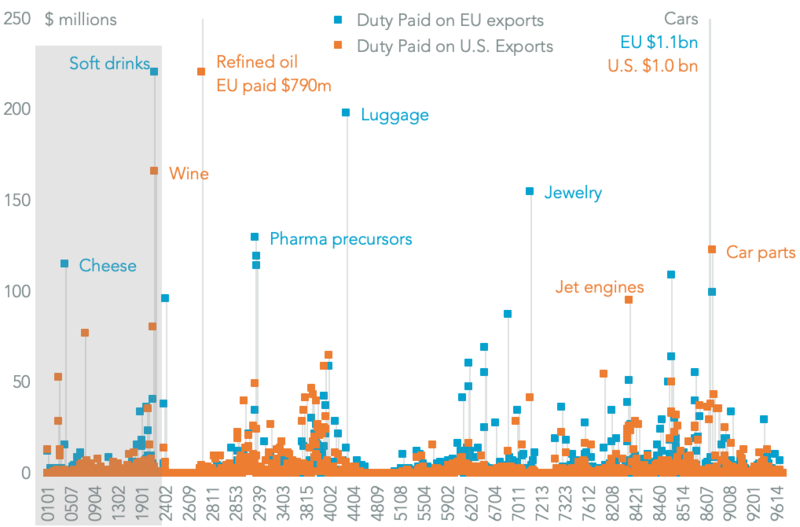 There’s also a much wider range of “wins” on each side even if the agricultural, food and beverage sectors – which proved controversial in EU negotiations with Canada and account for $1.35 billion of bilateral duties are excluded. The major complication may be the mechanics of negotiations. There are EU parliamentary elections scheduled for May 23 while a new European Commission – which formally handles negotiations – won’t be installed until Nov. 1. The main event for the year, however, will likely be the negotiations with China to reach a wide-ranging agreement on trade, macro-economic and intellectual property practices. The initial round of talks are scheduled to last through March 2. The Chinese government has already begun to adjust IP and investment policies as well as encourage increased purchases of U.S. commodities including energy and food products ranging from soybeans to rice. The Trump administration will also likely want to see a tangible win within the year in the form of a marked reduction in the U.S. trade deficit with China. That reached $410.7 billion in the 12 months to Oct. 31 as well as reaching a record high in the month of October. By contrast total U.S. exports of energy and agricultural products to all countries over the same period was $325.4 billion, of which China accounted for $16.4 billion. 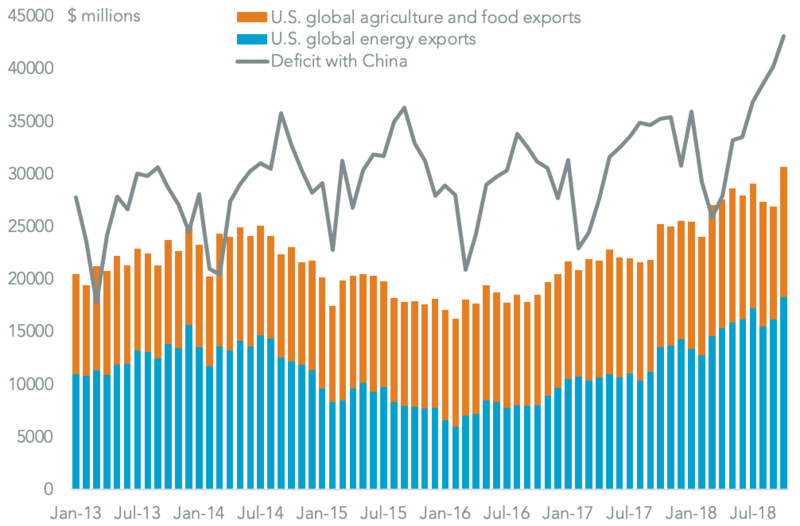 Put another way a five-fold increase in U.S. energy and agricultural products to China will only cut the trade deficit by one-fifth. It will take more than additional purchases of such commodities to put a meaningful dent in the deficit. 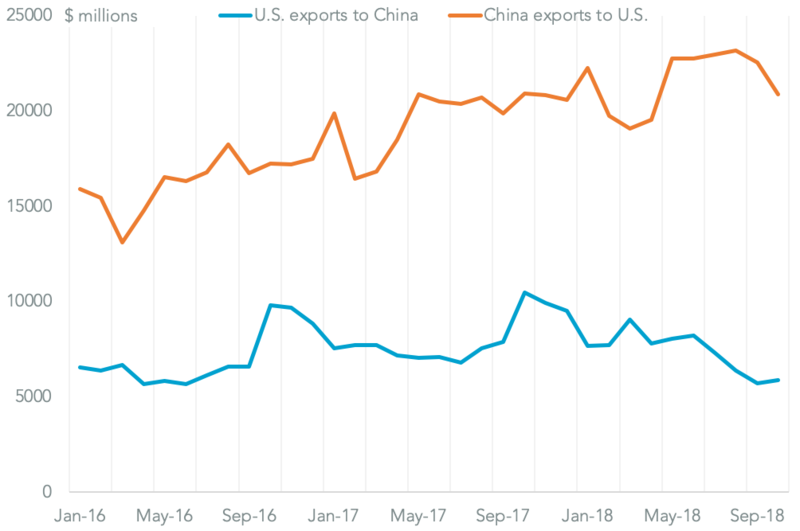 Thus far the impact of the two countries widening range of bilateral tariffs has had a more significant impact on U.S. exports than China’s. 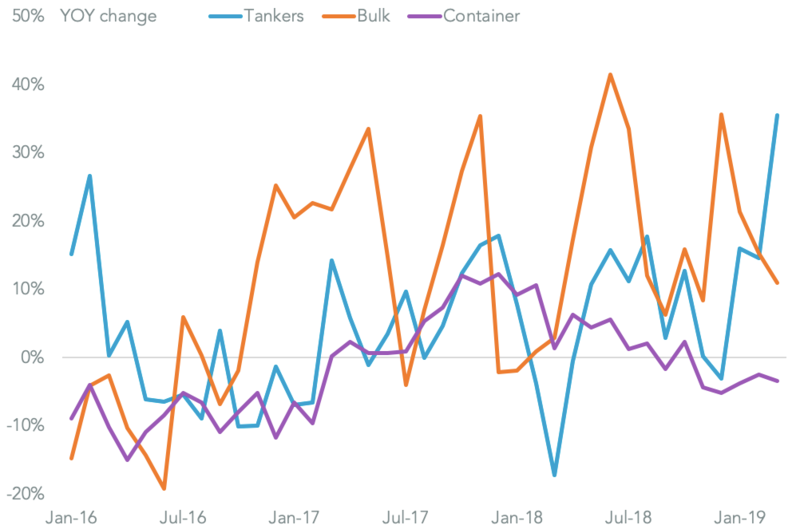 Chinese exports of the products covered by 25% tariffs in July and August and 10% in September fell by just 0.1% vs. a year earlier, largely due to stockpiling by U.S. corporations. 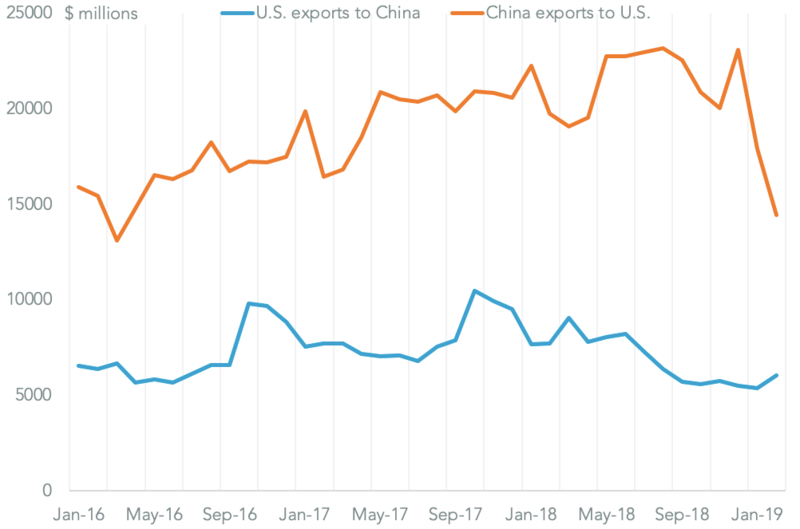 U.S. exports to China meanwhile fell by 43.8% which can be explained by the more price-sensitive nature of the commodities targeted as well as the greater control exerted by the Chinese government over state-owned enterprises. 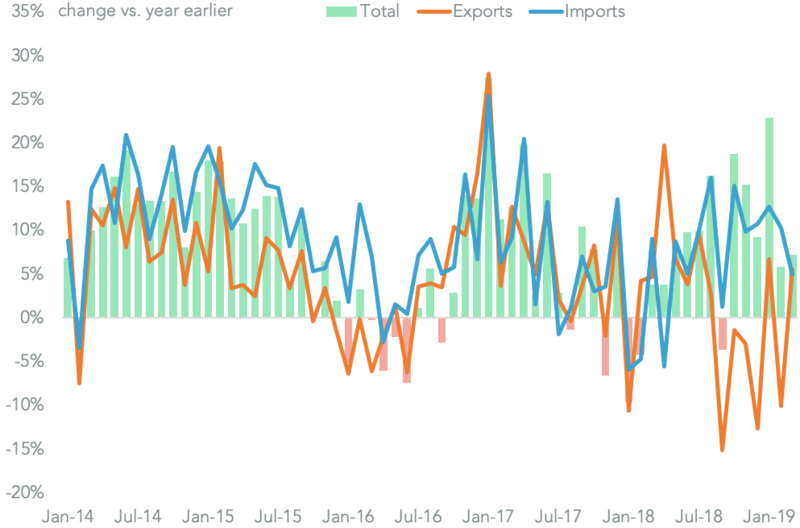 Tracking the impact in the coming near-term will be complicated by the U.S. government shutdown, which delays publication of trade statistics, as well as the earlier-than-previous lunar new year which may flatter early month imports in the year vs. a year earlier. Both sides have plenty to lose should talks fail to reach a conclusion in March. The U.S. will immediately push the 10% tariff rate to 25% and may consider further widening the coverage of duties to cover all Chinese exports. 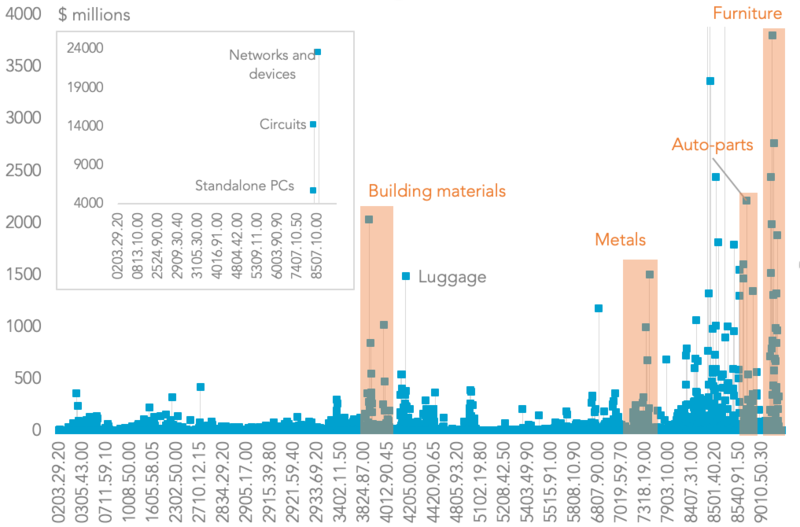 The largest product group that is vulnerable to the jump to 25% tariffs are network-connected devices – imports were worth $23.44 billion in the past 12 months – PC circuit boards worth $14.10 billion and standalone PCs with a value $5.55 billion. The furniture industry, where products worth $29.41 billion, will also be affected. It’s worth noting also that there is currently no exemption process in place for companies looking to mitigate the impact of September’s tariff round, while only 43.9% of applications have been accepted at the final stage of decision-making.